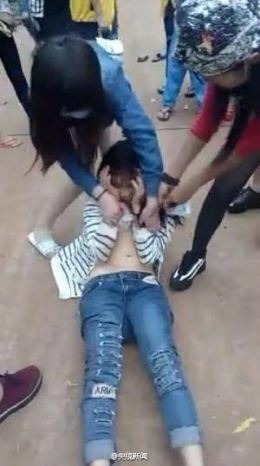 A video making round on Chinese social media yesterday shows a 15-year-old girl being attacked by a gang made up of young girls in Lingao, Hainan Province, China. She was brutally beaten, kicked and stripped off her clothes. According to media reports, the incident has caught the attention of local police, and they’re conducting an investigation along with the crime and cyber police departments of Dongying town, Lingao county. 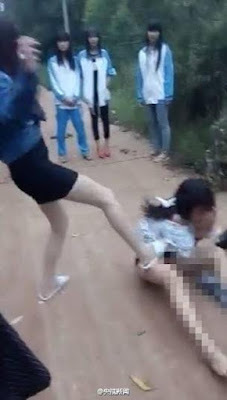 Responding to the influx of juvenile violence, Yang Xine, procurator-general of the juvenile court of Haidian District, Beijing, said the behavior is partly to be blamed on games, books and television shows that provoke such violent acts. Over the past few years, China has seen a surge in school violence. 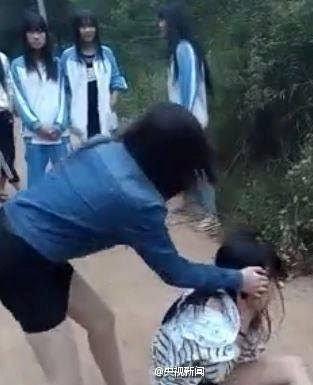 According to a survey by China Youth Research Center in 2015, out of the 5,864 respondents in 10 provinces, 32.5% said that they had been bullied while 6.1% said that they were often bullied by their seniors.